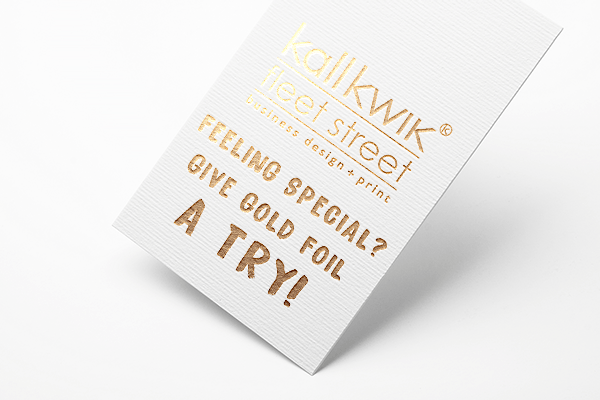 Gold foil printing at Kall kwik Fleet Street, near Holborn in Central London. Various colour foil options available. Great for special invitations for that glamorous event. We can foil almost anything from Business through to letterheads. We can also foil emboss on very thick card making the printed product look the highest of quality.